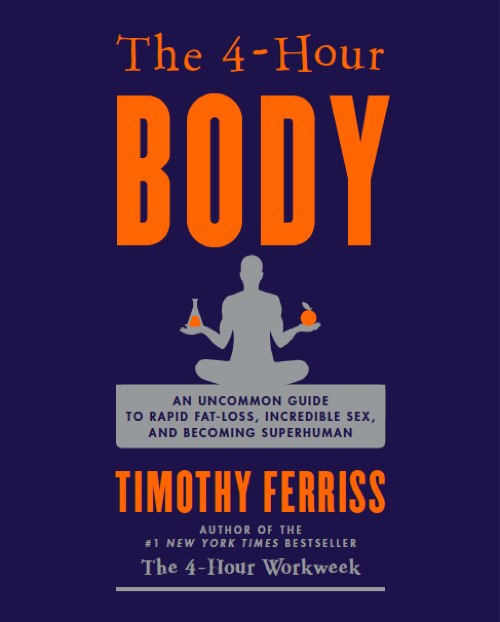 Tim Ferriss is the esteemed author of the wonderful health read: The 4 Hour Body. Prior to writing this book, Ferris published bestseller “The 4-Hour Workweek,” which was also a hit. As long as readers keep their diet simple and healthy, they can opt to eat as much as they want based from the foods that are listed in the book. The book specifies a six month time in which readers are promised to be taught how to attain their genetic potential, how to perform better with just two hours of sleep everyday, and how excessive fat can be lost by certain eating habits. Ferriss spent almost a decade worth of research consulting professional athletes, medical doctors and using his own personal experiments to serve as a base for the book, rather than writing based on merely a theory. Both men and women can seek assistance from everything that is mentioned in the book. Apart from covering various subjects, Ferriss also claims that everything mentioned in his book actually works. In fact, substantial results are guaranteed by Ferriss, in addition to being statistically proven by research. The fact of the matter is that over 50 diverse topics are covered in the book, and all can be appreciated for greater health and wellness.